Fed up with the classic white kitchen look?.. Well then this years design and colour trends are just for you! White kitchen designs will always be a classic whether you’re going for an ultra modern handless or an in-frame bespoke hand painted kitchen. 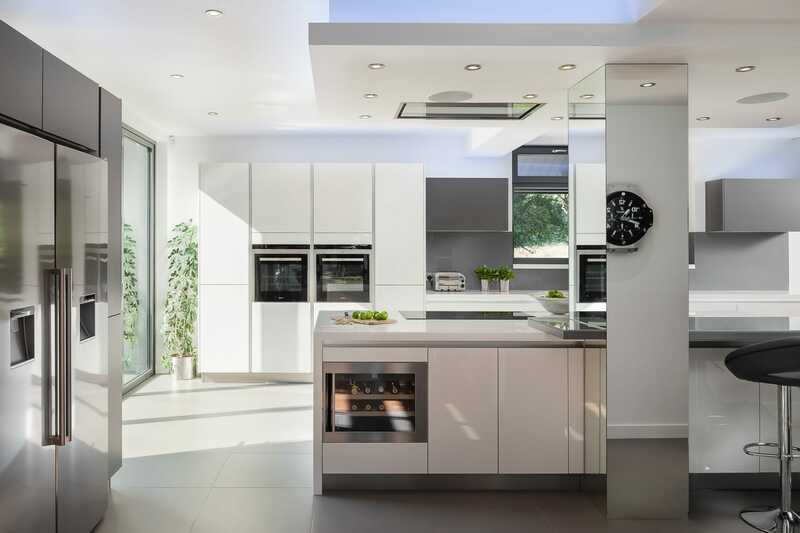 Its a hugely popular kitchen colour choice and it’s no wonder why, you can add virtually anything to a white based kitchen! However, it’s high time that 2018 brings us something a little different. 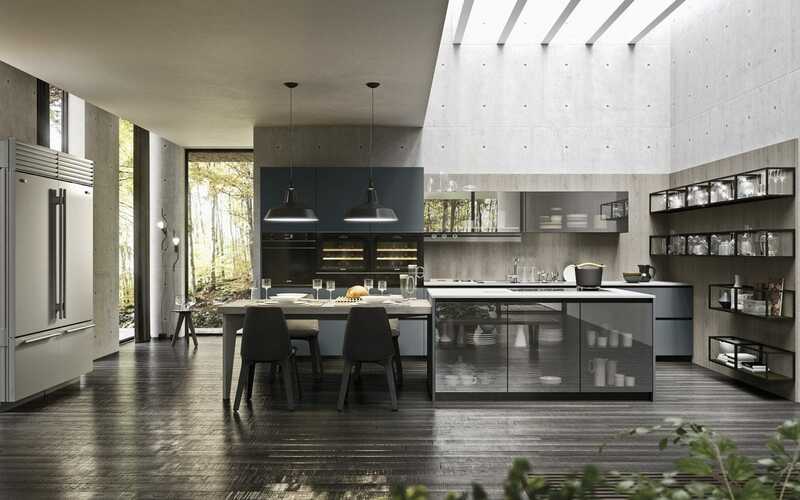 This year you should expect kitchens to take on moody nature inspired shades. 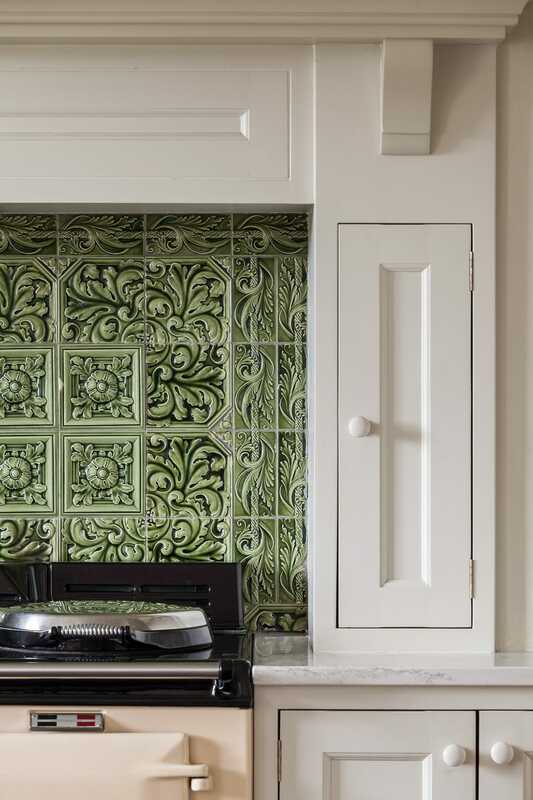 Blues and Greens have gradually emerged as the go-to colour choices for cabinetry in kitchen design. They are being married together with other natural colours and textures such as complementing wood stains, poured concrete and slate tiles. 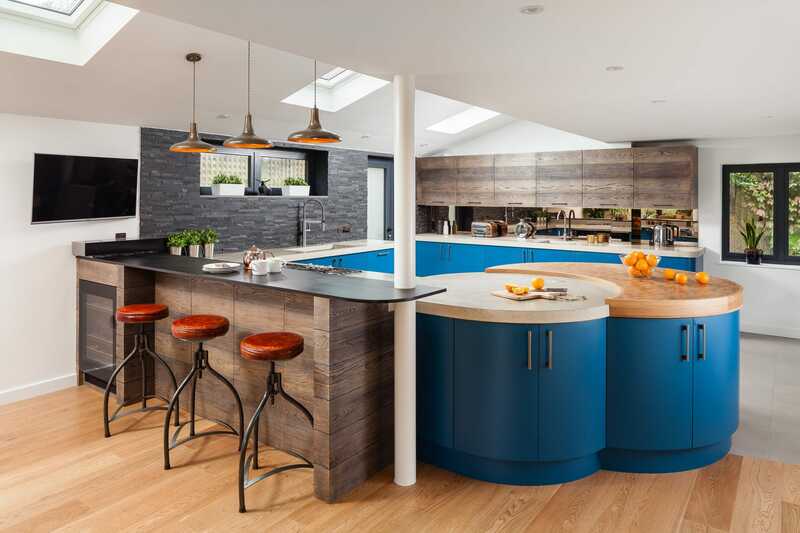 Check out our exotic Crowborough Clients Kitchen which is a fantastic example on how to be brave and mix a bold blue with other natural elements in your kitchen design. 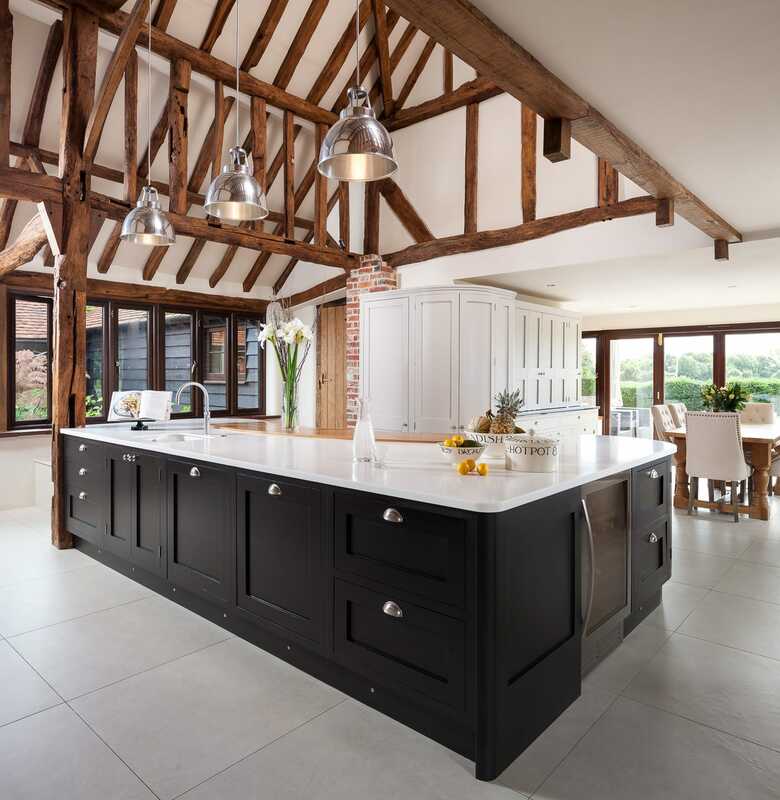 After such a surge of white and bright worktops in recent years, moody dark grey and black worksurfaces are set for a comeback this year. There are many fantastic dark worktop products on the market. 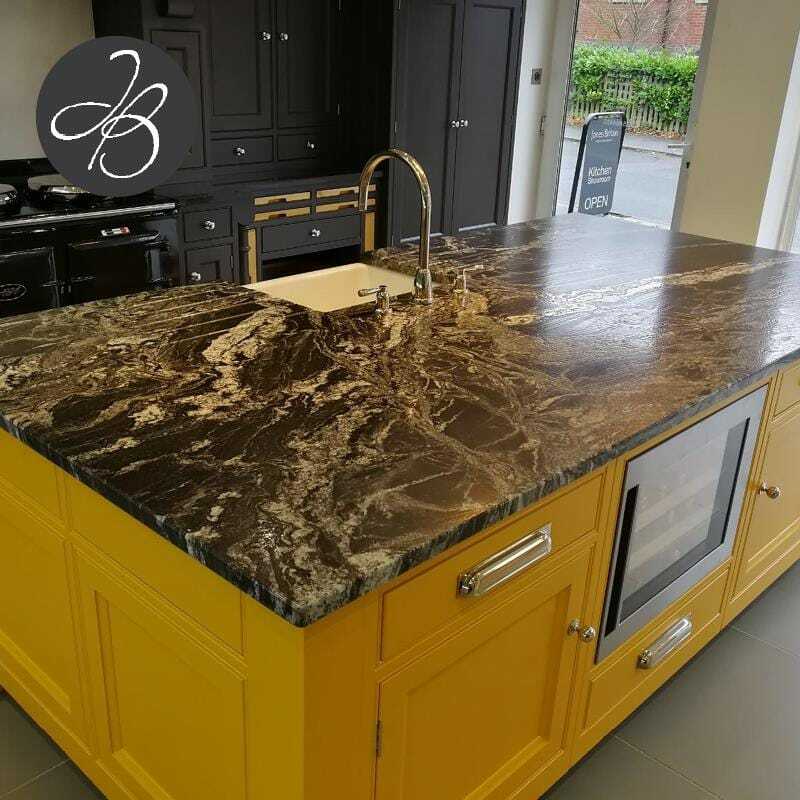 In the Jones Britain Heathfield Showroom we have recently installed a large slab of granite called ‘Black Beauty‘ which was developed Sensa by Consentino. Why not pop in and take a closer look? The days of monochromatic kitchens are long gone! 2018 is all about mixing and matching colours and textures together, there’s no need to keep it all the same. 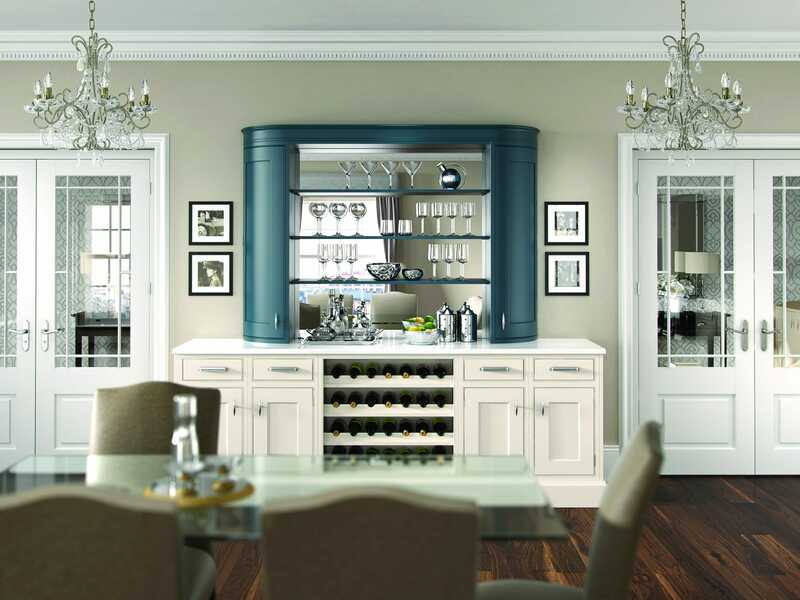 Using multiple colours in kitchens has become a popular trend this year. For example, painting base walls or cabinets in a dark charcoal tone and the upper cabinets and walls in a off white tone is something we’re seeing much more of. Paint isn’t the only way you can mix and match finishes, the fantastic kitchen we completed for our clients in Billingshurst (as seen in the image above) is a brilliant example of how to mix all sorts of finishes. Our clients chose to mix worktop finishes as well as paint colours which married together in their large open space amazingly. It gave character and a warmth to the room. 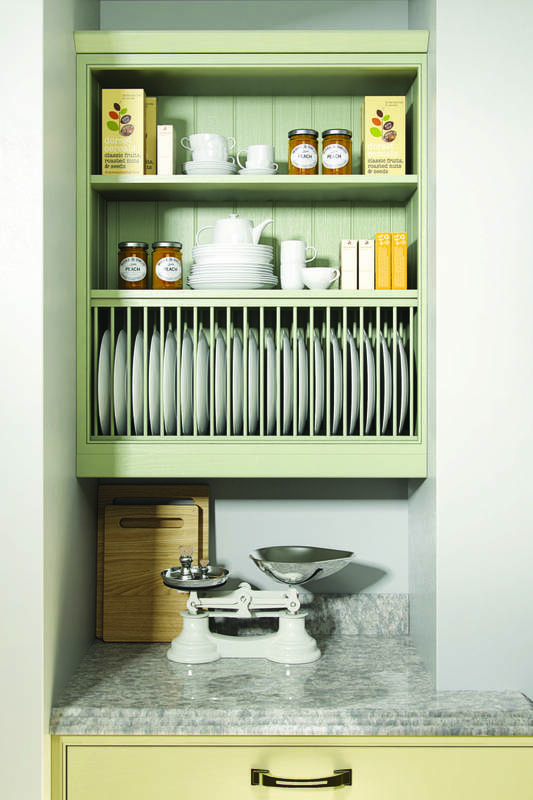 Why not come and make a start to your new dream kitchen? 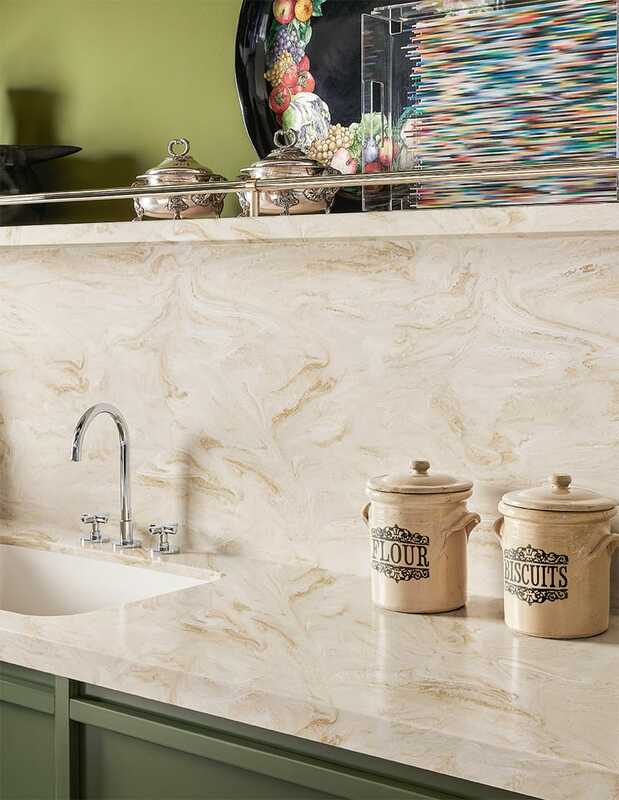 To discuss your kitchen design – from functional to fantasy – then why not call us for an informal, cost-free chat? 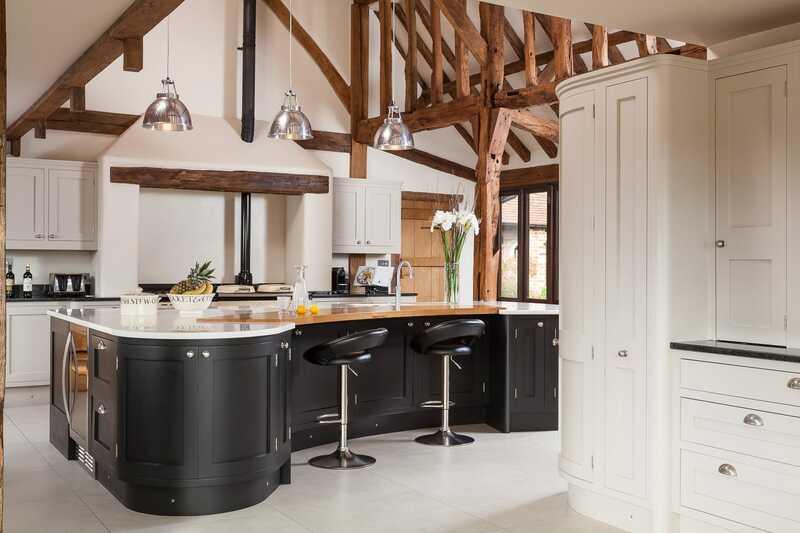 Alternatively, a welcome awaits in our kitchen design showroom in Heathfield, East Sussex, where you’ll discover a number of kitchen displays – over two floors – in both contemporary and traditional settings. We are here to help and remember, we never charge for advice. 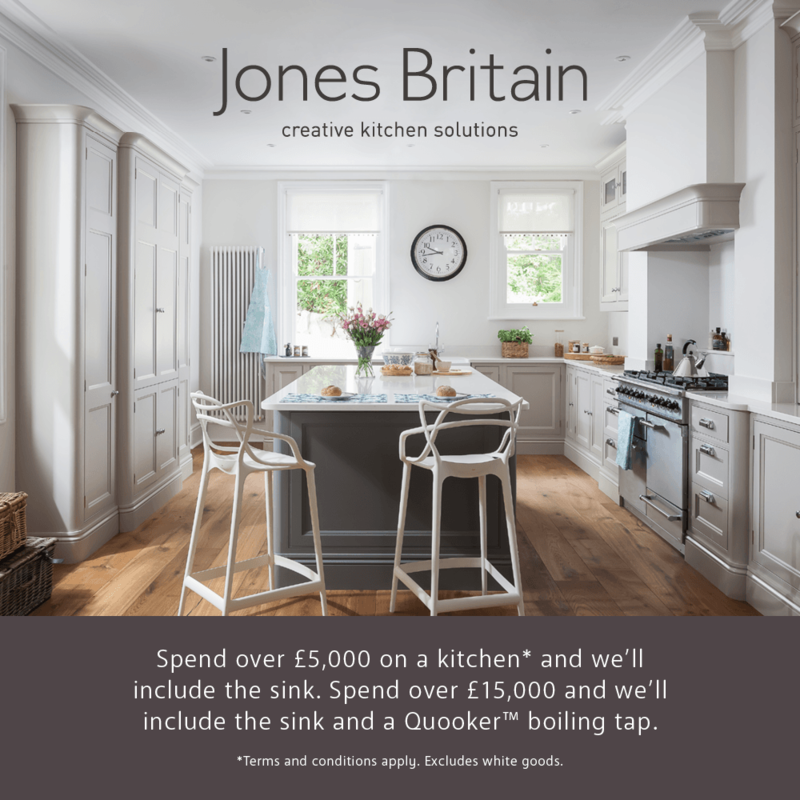 Spend over £5,000 on a kitchen* and we’ll include the kitchen sink. 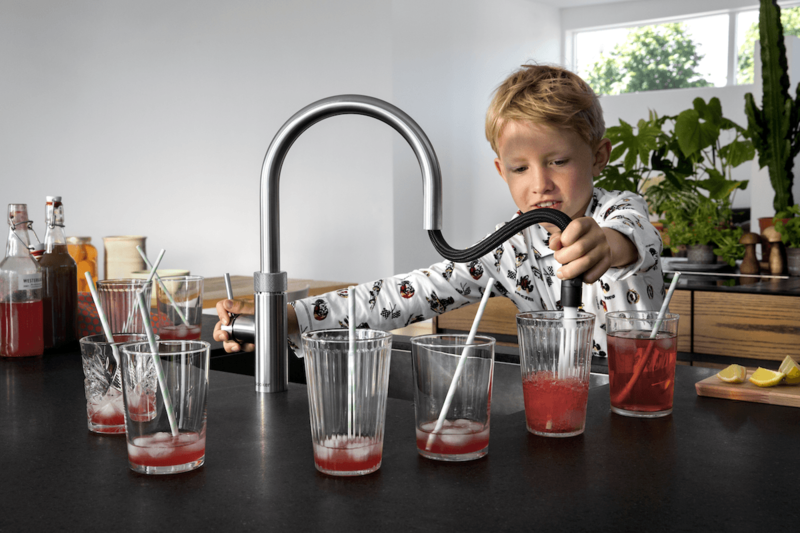 Spend over £15,000 and we’ll include the sink and a Quooker boiling tap. *Terms and conditions apply. Excludes worktops, white goods and labour. For more information please get in contact with us on 01435 866435 or visit our Heathfield Showroom.